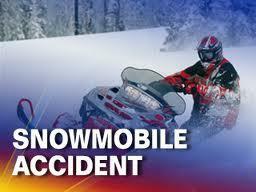 ALGER COUNTY, MI-- The Alger County Sheriff’s Office investigated three snowmobile crashes on Saturday. The first happened around 2:15 p.m. on Trail #7 in AuTrain Township. A 38-year-old man failed to negotiate a curve, left the trail and struck a tree. He was extricated by Alger County Rescue 21 and taken to UPHS-Marquette. Excessive speed is believed to be the main factor in the accident. The second crash happened around 4:22 p.m., also on Trail #7. A 35-year-old man missed a curve, went off the trail and struck a tree. He was taken to Munising Memorial Hospital for treatment. Speed and alcohol are believed to have contributed to that accident. The third crash occurred around 5:30 p.m. on Trail #8 in Burt Township. A 40-year-old man was eastbound when he struck a large mogul in the trail. The driver was ejected and landed about 150 feet from the snowmobile. He was taken to UPHS-Marquette by Valley Med Flight. Officials say speed was a factor in that crash.